Food insecurity, the lack of access to nutritious food, affects 15.8 percent of Arizonans, and 24 percent of Arizona children, according Map the Meal Gap’s 2017 food insecurity report. This makes Arizona the state with the fifth-highest national food insecurity rate for children. In Coconino County, 19.9 percent of residents experience food insecurity. We are committed to creating greater access to local food by focusing on making healthy produce affordable for all Flagstaff residents. This year, we partnered with the Flagstaff Community Market and Pinnacle Prevention to bring Double Up Food Bucks Arizona to our local farmers markets. Double Up Food Bucks Arizona is a federally funded effort that doubles the value of WIC and SNAP benefits used at farmers markets across the state. Two farmers markets in Flagstaff, Sunday Downtown Market and Wednesday Sunnyside Market are the first in Flagstaff to pilot this program. Beginning this May of 2017, we have seen 86 recipients receive double their SNAP and WIC benefits, totalling $3,250 in money saved. When someone uses their SNAP Quest Card at participating farmers markets, every dollar they spend is matched with an extra dollar to spend on more Arizona-grown fruits and vegetables, up to $20 per day. Increased access to healthy food is important for the many thousands of Arizonans who experience food insecurity, and those who live in food deserts across the state. It benefits the recipients of SNAP, local farmers, and our local economy. Foodlink focuses on growing the economic strength of our local food system through creating new connections between eaters, growers, and restaurateurs. Efforts include Eat Local Tuesdays, Grower Grant Program, and the Flagstaff Grown Booth at the Flagstaff Community Market. The Flagstaff Grown Booth creates an opportunity for small scale Flagstaff growers to sell their produce directly at the Flagstaff Community Farmer’s Market. Everyone is welcome! If you’re interested in selling your produce or starts at the Backyard Growers booth, contact info@refugiagardens.org. Eat Local Tuesdays is a celebration of the bounty of food grown in and around Flagstaff. The Grower Grants fund Flagstaff area growers to expand or enhance their operations. We created the Grower Grants to fill gaps that we see in traditional funding sources for small-scale food growers and producers. The maximum grant request is $1,000 but most awards are in the $500-$1,000 range. 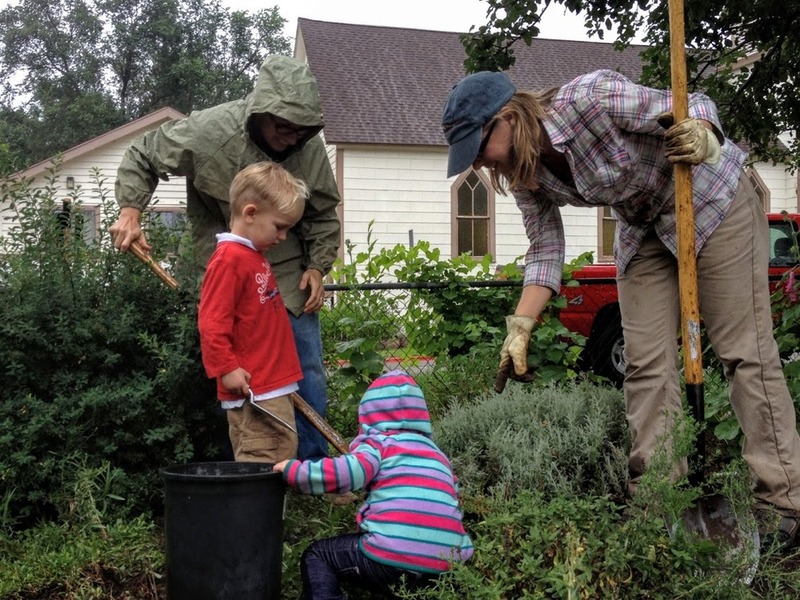 Flagstaff Foodlink creates resiliency by coordinating educational opportunities for community members to learn how to grow food responsibly in Flagstaff's challenging climate. Educational programs include the Flagstaff Community Seed Swap, Tour de Coop, Garden Ninja Tour, and exploratory subcommittees to develop a community greenhouse. Check out our events calendar for upcoming events. The Flagstaff Community Seed Swap, a partnership between Flagstaff Foodlink, the Northern Arizona University SSLUG Garden, City of Flagstaff Sustainability Program, and the Grow Flagstaff Seed Library, takes place in early spring each year and offers an opportunity for community members to share their seeds. The Garden Ninja Tour takes place each spring and explores practical and innovative methods community members have developed for successful food production and preservation. The Tour de Coop The Tour de Coop is a one-day, self-guided tour of four of Flagstaff's finest backyard chicken coops that showcases how to incorporate chickens into a backyard garden. Owners discuss the basics of raising chickens, chicken care, different breeds, and different coop designs.